AARP The Magazine has announced the winners of the 15th Annual Movies for Grownups Awards, continuing its integral role in awards season with its tradition of honoring the best in films with particular relevance to a 50-plus audience. 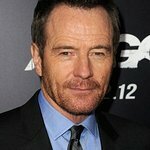 With the film Spotlight and actors Bryan Cranston and Lily Tomlin included among the top honorees, this year’s winners will be feted at the star-studded AARP Movies for Grownups Awards on February 8th at the historic Beverly Wilshire in Los Angeles. Two-time Emmy and Grammy award-winning comedian Kathy Griffin will host the evening for the second time. The honor of Best Picture will go to Spotlight, the critically acclaimed drama based on the true story of The Boston Globe reporters who investigated allegations of abuse in the Catholic Church. Lily Tomlin and Bryan Cranston lead this year’s acting honors and will take home Best Actress and Best Actor nods for their work in Grandma and Trumbo, respectively. This year’s Best Supporting Actress award will go to Diane Ladd for her part in the emotionally charged biographical comedy-drama Joy; and Mark Rylance earns the Best Supporting Actor for his outstanding performance in Steven Spielberg’s Cold War-inspired thriller Bridge of Spies. This year’s Best Director award will go to Ridley Scott for his film The Martian, and David O. Russell was voted Best Screenwriter for Joy. 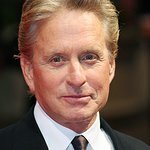 Michael Douglas will be presented with the esteemed Movies for Grownups Career Achievement Award for his prolific on- and off-screen accomplishments. The awards will raise funds for AARP Foundation, AARP’s affiliated charity, which works in communities across the nation to help struggling older adults meet their basic need for nutritious food, safe and affordable housing, adequate income and much-needed personal connections. This year’s awards will also assist in the Foundation’s work to end adult hunger with support from Chase Card Services and its commitment to donate up to $1.1 million to AARP Foundation in 2016 through a cause-marketing campaign with the AARP Credit Card. AARP Movies for Grownups is a high-impact multimedia franchise that was started by AARP The Magazine editors to spotlight and celebrate movies with storylines, performances, and filmmaking that have distinct relevance to the 50-plus audience. For more information about AARP’s Movies for Grownups Awards, go to www.aarp.org/annual-mfg-awards. The entire list of award winners will also be featured in the February/March Issue of AARP The Magazine, available in homes February 1st.